In a previous post, we looked into load balancing for PHP apps and how to configure read-write splitting on MySQL Replication setups. The native PHP MySQL driver (php-mysqlnd_ms) would perform read/write splits, and the MySQL connections would be made on one of the two listeners of HAProxy. In this post, we’ll play around with Java, Connector/J, MySQL Replication and HAProxy. 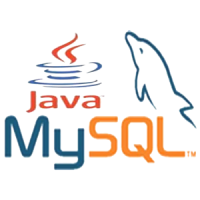 One important thing to note is that, unlike php-mysqlnd_ms, Connector/J is aware of MySQL Replication but it does not automatically perform read-write splitting. We have to instruct the query statement in the code of our Java application to establish a so-called read operation, using a JDBC connection object as read-only. Then, the driver will redirect the query to one of the healthy slaves as defined in the JDBC connection string. We are going to manually deploy a MariaDB Replication setup and add it into ClusterControl using “Add Existing Server/Cluster”. Then, we will deploy HAProxy with Keepalived, and create a simple Java application to connect to our Replication setup. Why add HAProxy between Connector/J and MariaDB? Since we are using MariaDB Server, we are going to use MariaDB Connector/J. Similar to MySQL Connector/J (MariaDB’s Connector/J also supports MySQL and vice versa), it supports various features like read/write master, failover or round-robin load balanced set of slaves. These features are configurable from the application via coding, and we want to eliminate that so the load balancer tier (HAProxy and Keepalived) is totally independent. The load balancer tier will take care of failover, load balancing, connection throttling, Virtual IP address and backend health checks. By doing this, we can minimize the hard-coded changes on the application side and reduce dependency between the layers. If you have multiple application/web servers that connect to a single replication setup, or the database servers are hosted in a dynamic environment that is constantly changing (e.g Docker, cloud instances), then this setup might be what you are looking for. Our simple Java application is hosted on the web server, and the JDBC driver will redirect writes to the HAProxy node on port 3307 while reads are redirected to port 3308. A hot-standby HAProxy instance is coupled with Keepalived to provide a virtual IP address. The web server connects to the virtual IP address on the respective port as a single access point to our MariaDB Replication setup. All database nodes in this setup are running on Debian 8 (Jessie). ** Enter the MySQL root password in the password dialog. The GTID position is 1-1001-2. We will use this value when setting up the slaves. Our Replication setup is now deployed. Install ClusterControl on ClusterControl server. Click on ‘Add Cluster’ and wait for the job to complete. Note that the assigned mysql user must have at least PROCESS, REPLICATION CLIENT and REPLICATION SLAVE privileges in order for the script to report correctly. Repeat the above step for the second HAproxy node. To make HAProxy work with MySQL Replication, two HAProxy listeners (3307 for writes, 3308 for reads) are required. We also have to use tcp-check to distinguish whether the backend node is a healthy master or slave. To achieve this, we need to perform some modification to the installed HAProxy configuration file located at /etc/haproxy/haproxy.cfg of the load balancer nodes. tcp-check expect string is\ running. ** The use of ‘option tcp-check’ and ‘tcp-check expect’ is vital here. This is how HAProxy is capable of routing the incoming query to the correct backend server. Writes are redirected to the node which report ‘MySQL master is running’ (therefore the expected string is “MySQL\ master”). Reads are redirected to the nodes which contain “is\ running” in the return string, to include master (‘MySQL master is running’) and all slaves (‘MySQL slave is running’) in the read-only load balancing set. Database and load balancer tiers are now deployed. Let’s move to the application tier. In this example, we wrote a simple Java application that can read/write to our MariaDB setup. The connection string for replication format is “jdbc:mysql:replication://master,slave1,slave2,slave3/database”, assumes that the first (and only the first) host is the master and the rest are slaves. We also need to install MariaDB Connector/J before the application can connect to the database. To perform read-write splitting, we have to use the setReadOnly method. If the connection object with Connection.setReadOnly(false) is called, connection will be established on the available master, while Connection.setReadOnly(true) will be established to the available slave(s), throwing an SQLException if it cannot establish a connection to a slave, unless the property readFromMasterWhenNoSlaves is set to be “true”. From the application’s output, we can see that writes will always go to master (mariadb1.local) while reads are distributed evenly to all nodes (slaves + master), based on the leastconn algorithm specified in the HAProxy configuration. Note that in this example, no connection pooling is configured for our Java apps. Connection pooling is popular in Java since it can significantly increase the performance of your Java application, while reducing overall resource usage. After a connection is created, it is placed in the pool and it is used again so that a new connection does not have to be established. If all the connections are being used, a new connection is made and is added to the pool. Connection pooling also cuts down on the amount of time a user must wait to establish a connection to the database. On the other hand, HAProxy is pretty good in forwarding raw TCP packets where connections are created and then closed. Due to this, HAProxy is usually configured with low timeout values. Common practice if using connection pooling with HAProxy is to configure the timeout client, timeout connect and timeout server variables to be the same value as the timeout value configured in the connection pool. Also, the value of HAProxy’s maxconn must be equal to or greater than the maximum number of database connections in the pool. That’s it. You are now set with a more resilient architecture of your Java apps on top of Replication setups.